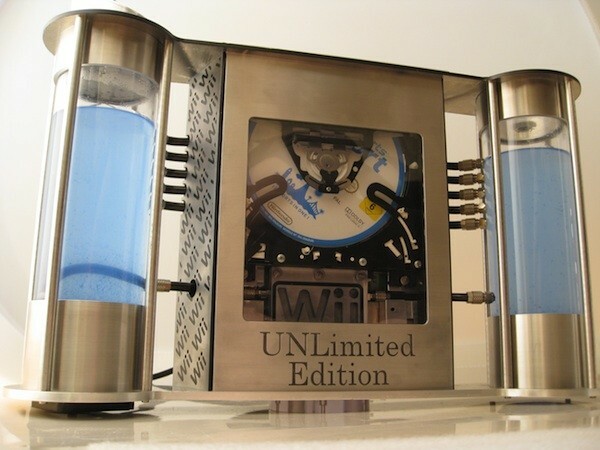 There’s console mods and there’s console mods… and then there’s this — a completely custom Nintendo Wii built from steel and cooled by two liquid-filled containers that would look more at home in a mad scientist’s laboratory. Not surprisingly, this mod took a long time to complete. 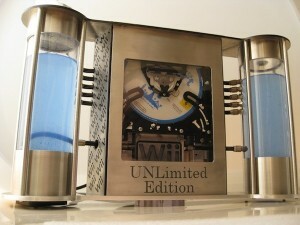 Bit-tech forum member Angel OD began the so-called “UNLimited Edition” project way back in December, 2009 and, after a few diversions, finally finished it this past weekend. Now my only question is, why hasen’t this been done with a ps3 or 360? A big thanks for an excellent piece of games news. This is amazing. I want one now!